For the first time since being traded to the Los Angeles Dodgers before the waiver trade deadline, David Freese returned to St. Louis to face the Cardinals. Not only did Freese grow up in the St. Louis area, but he played for the Cardinals and was an essential part of their 2011 World Series championship team. He was named MVP of both the National League Championship Series and World Series that year. Freese has played in 40 games against the Cardinals since they traded him after the 2013 season, most recently this past June when he was a member of the Pittsburgh Pirates, but for some reason this weekend’s visit was special. Freese has been known to come up with a few clutch hits at that stadium, particularly in that 2011 World Series when he delivered a game-tying triple with two outs in the ninth inning. He then hit a walk-off home run in the 11th inning in Game 6, when the Cardinals were facing elimination against the Texas Rangers. This time around he came up with a clutch hit against the Cardinals, pulling a two-run triple down the left-field line on the 14th pitch of his at-bat in the first inning. 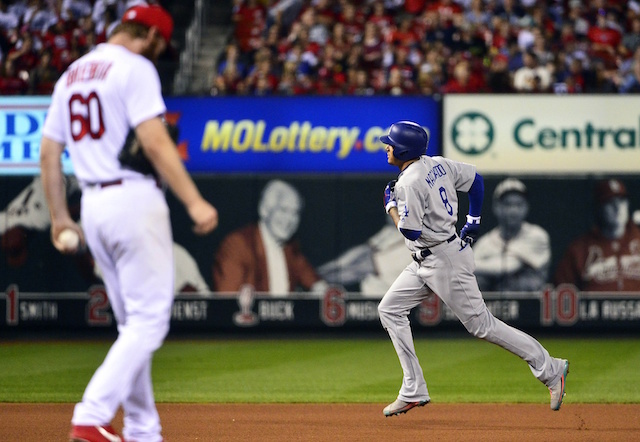 The Dodgers went on to defeat the Cardinals, 9-7, in the opener of a big four-game series. 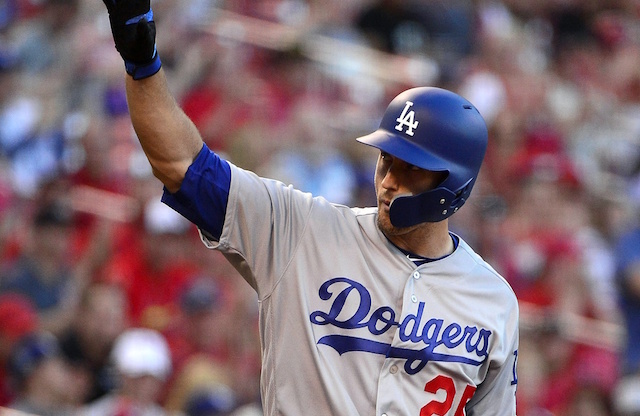 Freese has swung the bat extremely well in his short time with the Dodgers, hitting .389 with a home run and five RBI in 10 games as he looks to help Los Angeles get back to the postseason.